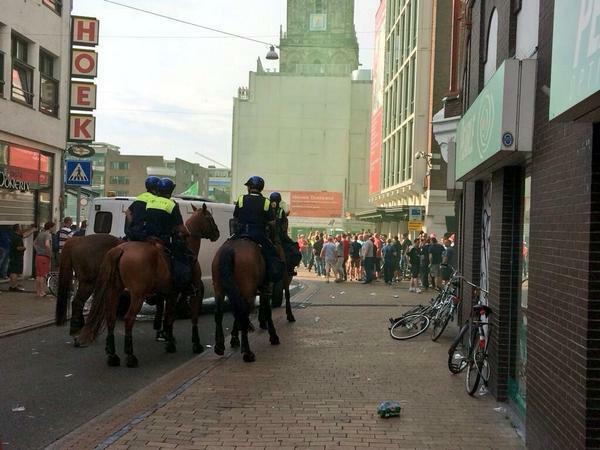 ABERDEEN FC fans have been attacked by hooligans in Groningen this afternoon. 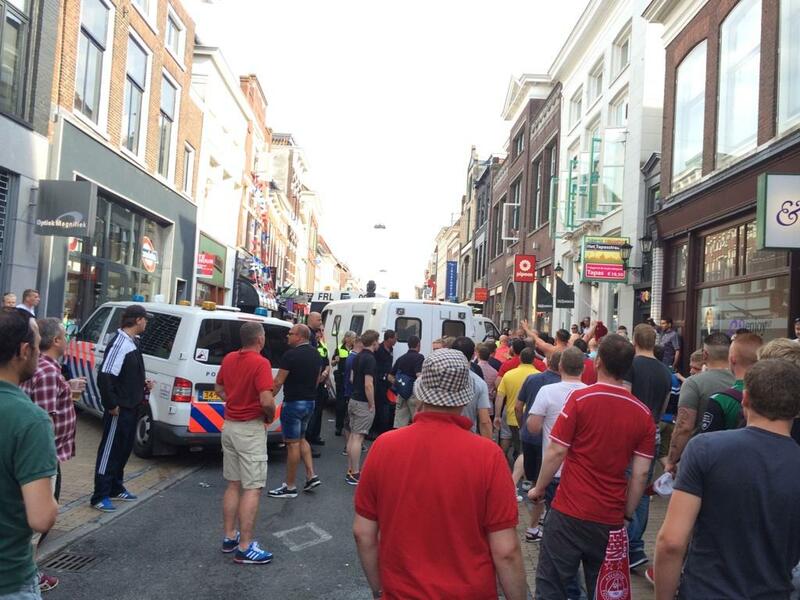 It’s understood hooligans charged at the Dons fans in the city centre ahead of the Europa League clash tonight. 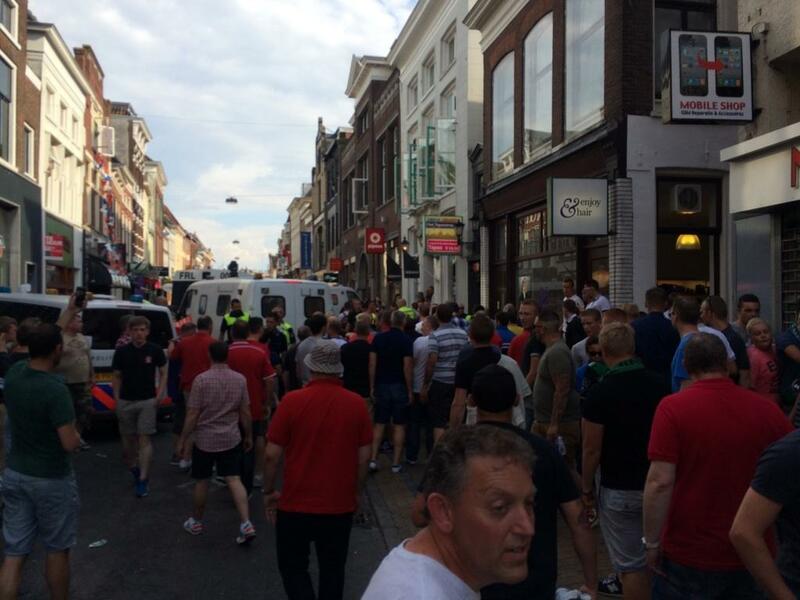 While enjoying pre-match refreshments ahead of the match the Red Army were charged at and attacked by around 200 Groningen supporters, with some throwing chairs. 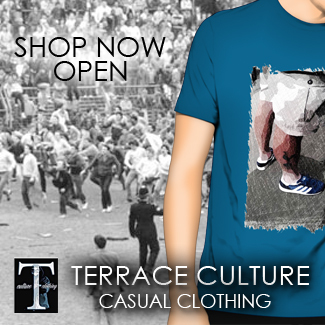 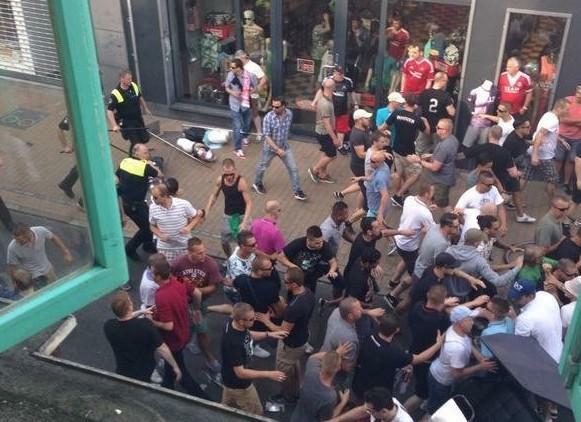 An Aberdeen FC spokesman said: “We are in the process of trying to find out exactly what happened but the information we have at the moment is the Groningen supporters tried to attack the Aberdeen supporters, but the police stepped in immediately and dealt with the issue. 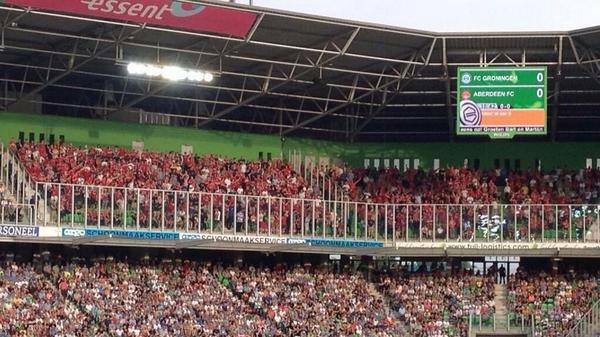 1,100 Aberdeen fans at Groningen today.